If you are lifting your truck or SUV, a new set of Superlift shocks is the perfect way to finish off your suspension upgrade. Superide shock absorbers are designed specifically to maintain the correct shock travel length, maintaining a comfortable ride. Superlift has shocks for just about every truck or SUV made and they work on trucks with up to 12" of lift! All shock absorbers are sold individually and come with a specific hardware pack to fit your particular needs. Superlift has designed these performance shocks as direct replacement items, so installation will be fairly quick without any drilling or cutting. 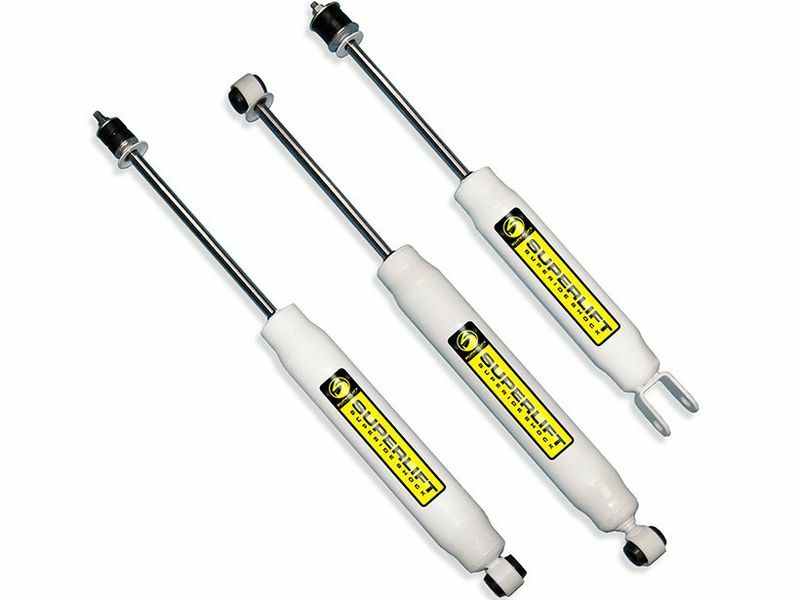 All Superlift shocks for lifted trucks are protected with durable powdercoat finish so they look good and resist rust. To give you even more confidence in choosing Superide shocks, Superlift backs them with a limited lifetime warranty. Shock absorbers, suspension components, leveling kits, and lift kits from Superlift come backed by a limited lifetime warranty against defects in materials or workmanship. Please give us a call if you have any questions or need to file a claim. Superlift Superide shocks are designed as OE replacements, so they mount in the same location as your factory shocks. That means a quicker installation without any drilling or cutting required. Give us a call if you find yourself with a question that needs answering or if you want more information on any Superlift suspension product.